It has a functional and decorative design in white porcelain with double blue striped detail. It uses gravity as a dosing system and its internal composition offers a technical and hygienic solution. This dispenser is dishwasher safe. 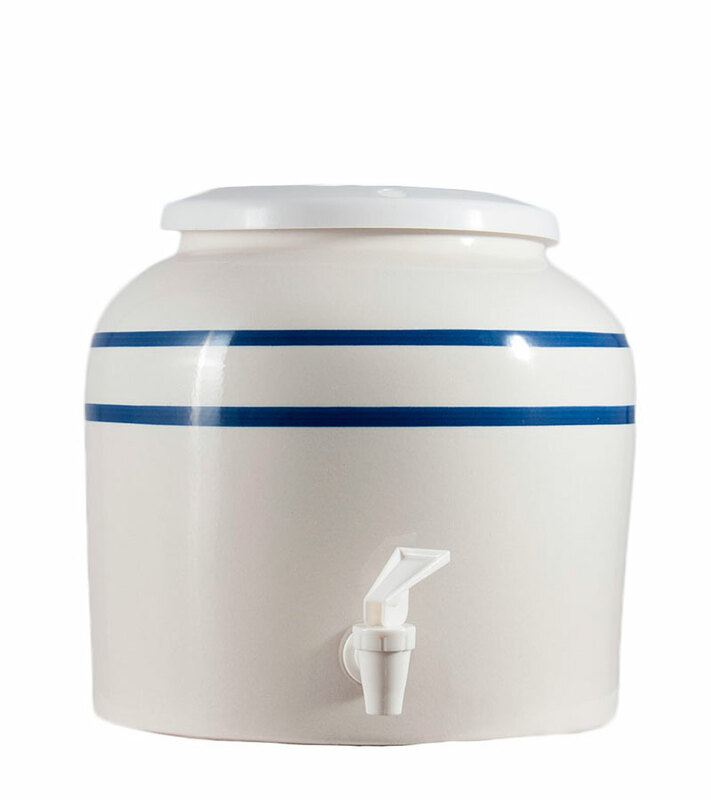 Ceramic Dispenser of cook water, with functional and decorative design in white porcelain with double striped blue detail of uniform size and that allows the incorporation of wooden stand avaliable both for desktop and floor, facilitating its use in every circumstance. It uses gravity as a dosage system and its internal composition offers a technical and hygienic solution. 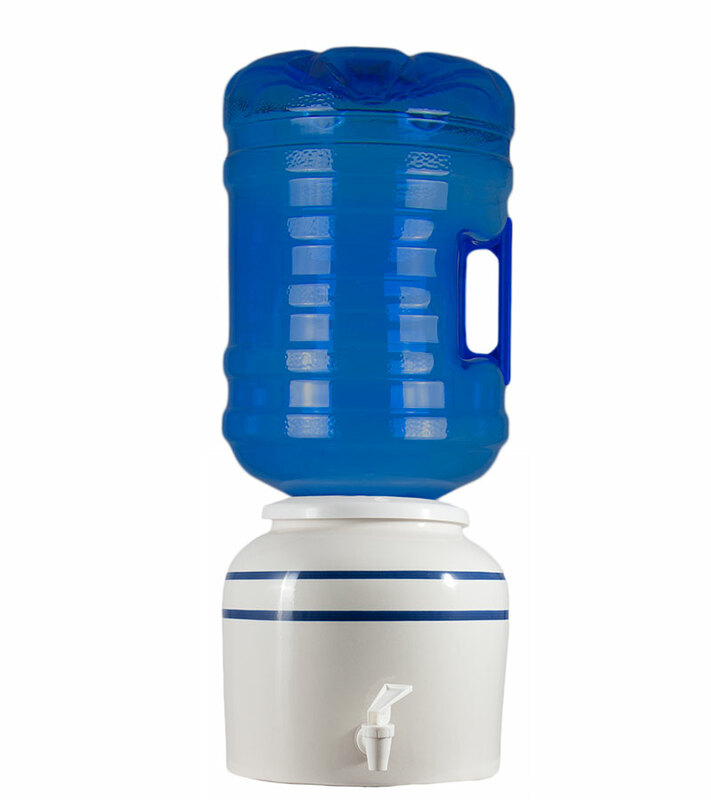 The bottle insertion system offers offers a complete resource to be the same as that of our water machines with compressor, that is, it incorporates a spike that enters the PET bottle through the 5 gallon cap, and through which the water falls by gravity into the ceramic deposit where the water is kept at an optimum temperature. This deposit is composed of a single piece which speeds up cleaning and reduces maintenance.